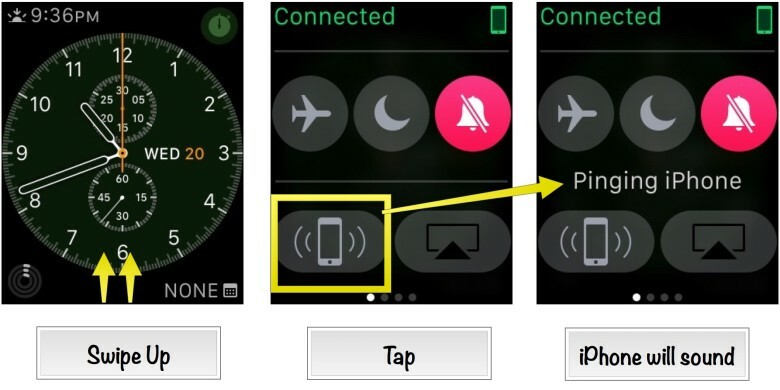 Use your Apple Watch to find your iPhone, regardless of ambient illumination. I’m willing to bet that you’ve misplaced your iPhone around the house before. I know I have; almost once a week I’m wondering where I set down that magical device. Is it in the bedroom? The kitchen? The (gasp) bathroom? If you’ve got an Apple Watch, though, you can use its ping feature to find your iPhone with an audible sound, and even a flashing LED if you need it. 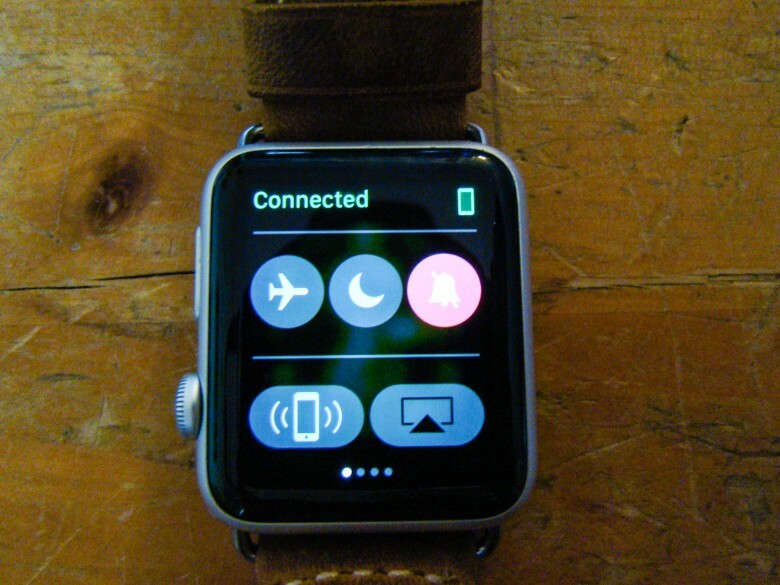 Raise your Apple Watch and press the Digital Crown until you’re at the watch face. Swipe up from the bottom to activate the Glances. Swipe to the right or left until you see the Glance with the Airplane Mode, Do Not Disturb, and Notifications. Tap on the lower left icon on that Glance — it looks like an iPhone with sound lines on either side of it. This will ping your iPhone, which will emit a pinging sound. Tap for an auditory ping. Want to make your iPhone’s LED flash strobe a bit so you can find your iPhone in a darkened room? Instead of tapping on the ping button, as above, try holding it down. Your iPhone’s flash will get into the act, which will help you find it if it’s dark and you have a bad sense of echolocation. Heck, it even works if your iPhone is on silent mode — thanks, commenters! Tap and hold to make the Flash work for you. Imagine how useful this can be for those many times your iPhone falls into a crack of the couch, on the floor by your bed, or underneath the front seat of your Land Rover. It’s crazy easy to lose that rectangle of silicon, glass and aluminum. Heck, it even works if your iPhone is on silent mode — thanks, commenters! Now you’ve got a couple of ways to use that fancy wrist computer to locate find your iPhone when you lose it around the house (or, heck, in your car), even if it’s dark.